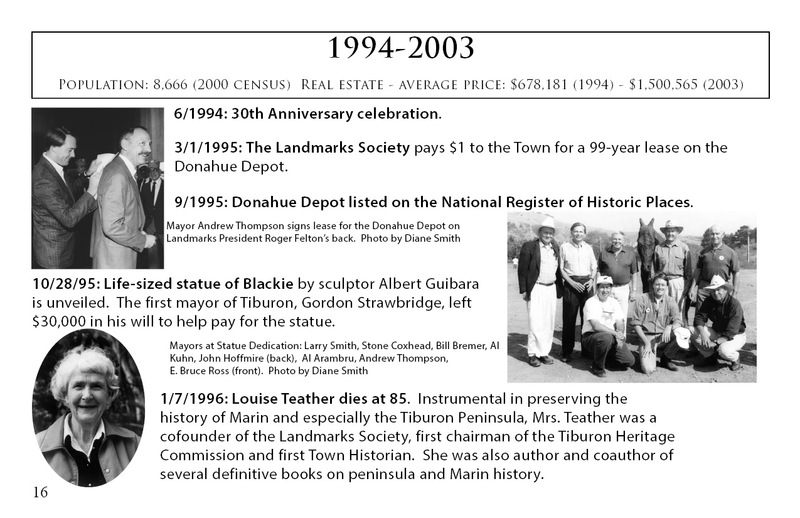 Wesley Wilkes was an assistant planner with the County of Marin and a Tiburon resident. 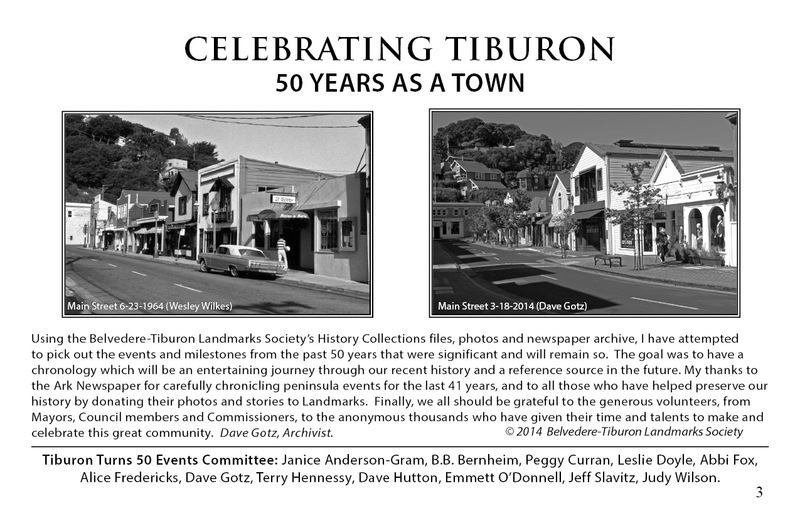 He was asked by one of Landmarks founders and the preeminent Tiburon historian Louise Teather to go out on June 23 and take photos around the area. The results are a quality collection of black & white shots which preserve the way our town looked fifty years ago. A limited DVD edition of the film, which also includes 23 minutes of aerial footage Mike Jetter shot, is available at the Railroad Museum, and from our office – priced to cover the production expense of $5. 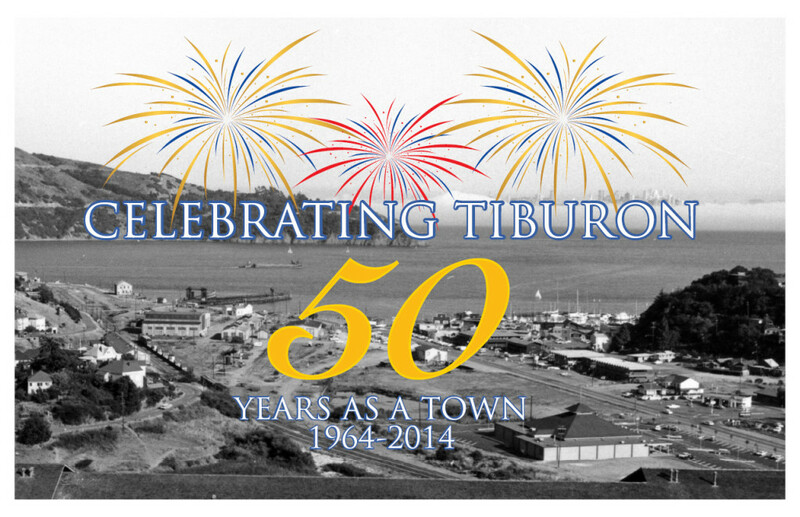 The Town of Tiburon celebrated it’s 50th anniversary with events on May 30-31, 2014 and Landmarks made significant contributions from our History Collections including a dramatic then and now photo montage, commemorative booklet and a retelling of the incorporation story in the latest newsletter.